Alpha Financial Advisors, LLC (“Alpha Financial”) is an SEC registered investment adviser located in Charlotte, North Carolina. Alpha Financial may only transact business in those states in which it is registered, or qualifies for an exemption or exclusion from registration requirements. Alpha Financial’s web site is limited to the dissemination of general information pertaining to its advisory services, together with access to additional investment-related information, publications, and links. 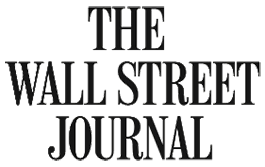 Accordingly, the publication of Alpha Financial’s web site on the Internet should not be construed by any consumer and/or prospective client as Alpha Financial’s solicitation to effect, or attempt to effect transactions in securities, or the rendering of personalized investment advice for compensation, over the Internet. Any subsequent, direct communication by Alpha Financial with a prospective client shall be conducted by a representative that is either registered or qualifies for an exemption or exclusion from registration in the state where the prospective client resides. For information pertaining to the registration status of Alpha Financial, please contact the SEC or the state securities regulators for those states in which Alpha Financial maintains a notice filing. A copy of Alpha Financial’s current written disclosure statement discussing Alpha Financial’s business operations, services, and fees is available from Alpha Financial upon written request. Alpha Financial does not make any representations or warranties as to the accuracy, timeliness, suitability, completeness, or relevance of any information prepared by any unaffiliated third party, whether linked to Alpha Financial web site or incorporated herein, and takes no responsibility therefor. All such information is provided solely for convenience purposes only and all users thereof should be guided accordingly. Please remember that different types of investments involve varying degrees of risk, and there can be no assurance that the future performance of any specific investment or investment strategy (including those undertaken or recommended by Alpha Financial), will be profitable or equal any historical performance level(s). Certain portions of Alpha Financial’s web site (i.e. newsletters, articles, commentaries, etc.) may contain a discussion of, and/or provide access to, Alpha Financial (and those of other investment and non-investment professionals) positions and/or recommendations as of a specific prior date. Due to various factors, including changing market conditions, such discussion may no longer be reflective of current position(s) and/or recommendation(s). Moreover, no client or prospective client should assume that any such discussion serves as the receipt of, or a substitute for, personalized advice from Alpha Financial, or from any other investment professional. Alpha Financial is neither an attorney nor an accountant, and no portion of the web site content should be interpreted as legal, accounting or tax advice. Rankings and/or recognition by unaffiliated rating services and/or publications should not be construed by a client or prospective client as a guarantee that he/she will experience a certain level of results if Alpha Financial is engaged, or continues to be engaged, to provide investment advisory services, nor should it be construed as a current or past endorsement of Alpha Financial by any of its clients. Rankings published by magazines, and others, generally base their selections exclusively on information prepared and/or submitted by the recognized adviser. Rankings are generally limited to participating advisers. To the extent that any client or prospective client utilizes any economic calculator or similar interactive device contained within or linked to Alpha Financial’s web site, the client and/or prospective client acknowledges and understands that the information resulting from the use of any such calculator/device, is not, and should not be construed, in any manner whatsoever, as the receipt of, or a substitute for, personalized individual advice from Alpha Financial, or from any other investment professional. Each client and prospective client agrees, as a condition precedent to his/her/its access to Alpha Financial’s web site, to release and hold harmless Alpha Financial, its officers, directors, owners, employees and agents from any and all adverse consequences resulting from any of his/her/its actions and/or omissions which are independent of his/her/its receipt of personalized individual advice from Alpha Financial.